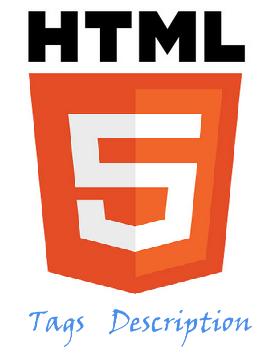 HTML5 is a markup language used for structuring and presenting content for the World Wide Web and a core technology of the Internet. It is the fifth revision of the HTML standard (created in 1990 and standardized as HTML 4 as of 1997) and, as of December 2012, is a candidate recommendation of the World Wide Web Consortium (W3C). Today, several elements in HTML 4.01 are obsolete, never used, or not used the way they were intended. All those elements are removed or re-written in HTML5. Below is a list of the new HTML elements, introduced by HTML5, and a description of what they are used for. Item Reviewed: New Elements in HTML 5 Tags and Description 9 out of 10 based on 10 ratings. 9 user reviews.